Janeane has had many memorable and critically acclaimed roles in films such as "The Truth About Cats and Dogs," "Steal This Movie," "Copland," "Reality Bites," and "Duane Hopwood," as well as for her specific brand of sharp wit and comedy shown in her roles in "Romy and Michelle's High School Reunion," "Bye Bye Love," "Mystery Men," "Clay Pigeons," "The Minus Man" and "The Cable Guy," directed by her friend Ben Stiller. Ben and Janeane also co-authored the best seller "Feel This Book," (Ballantine May 1999). Janeane was also a cast member of the Emmy Award-winning Ben Stiller Show. Janeane played the role of Paula, the acerbic talent booker, on "The Larry Sanders Show," for which she received an Emmy nomination in 1997 and two Cable Ace nominations. During the fall of '94 she joined the cast of "Saturday Night Live." Some of Janeane's other television work includes two specials for HBO, the series finale of "Mad About You" and the critically lauded, final season of NBC's "The West Wing," where she played Democratic campaign strategist Louise Thornton. In 2007, Janeane's voice was featured in the Disney/Pixar animated comedy Ratatouille, and can be seen in Stella writer/director David Wain's ensemble comedy, "The Ten." 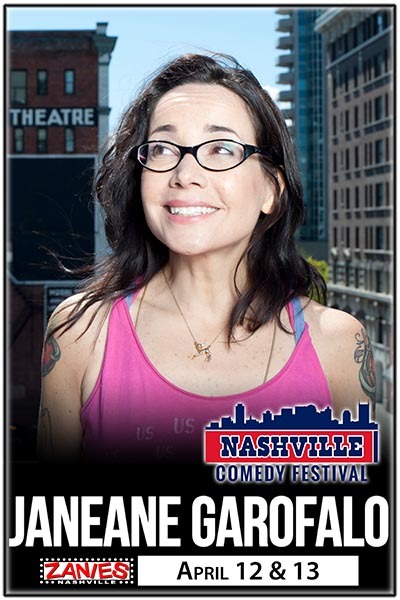 Janeane can also be seen in the Lifetime movie "Girl's Best Friend" and as a character on the 2009 season of "24."